Author: Ali, Mohammed Set In . 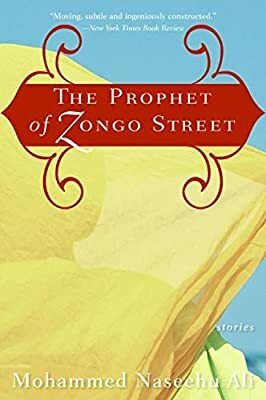 . .
A dazzling collection of stories, The Prophet of Zongo Street takes readers to a world that seamlessly blends African folklore and myths with modernity. Set primarily on Zongo Street, a fictitious community in West Africa, the stories -- which are reminiscent of the works of Ben Okri and Amos Tutuola -- introduce us to wonderfully quirky characters and the most uproarious, poignant, and rawest moments of life. There's Kumi, the enigmatic title character who teaches a young boy to finally ask questions of his traditions. And as Ali moves his characters to America we meet Felix, who struggles with America's love of the exotic in "Rachmaninov." The Prophet of Zongo Street heralds a new voice and showcases Mohammed Naseehu Ali's extraordinary ability to craft stories that are both allegorical and unforgettable.